The 2710SA is an initiate switch controlled delay on break timer controlling a SPDT set of relay contacts. The 2710SA is available in a range of both AC and DC models. With operating voltage applied, the timer is in a stand-by mode. Closure of the initiate switch causes the output contacts to energize. Timing starts when the initiate switch opens, the output contacts de-energize at the end of the delay. Re-closure of the initiate switch during a timing cycle resets the timing period which restarts when the switch opens again. 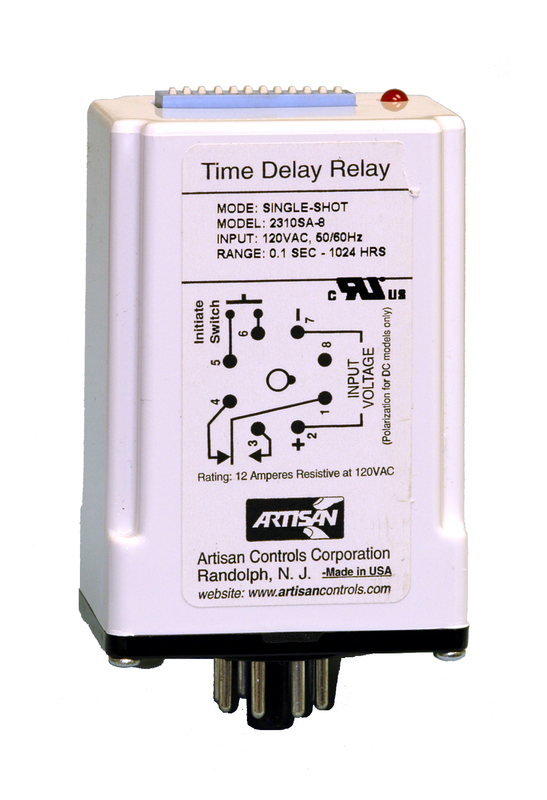 The 12 position DIP switches allow for selection of time range and time period.